Understanding warning flags and indicators of substance abuse are helpful for detection and prevention measures. While the profile of an addict cannot be generalized, there are several aspects of addiction that may become transparent in the life of a person dealing with substance abuse. Signs and symptoms can vary among individuals suffering with addiction, and research is helping us understand what some of these markers may reflect. This information may be advantageous for health care professionals who encounter drug addicts in their line of work. Knowing what signs to look for is also useful for family and friends who may be wondering about behavior patterns and lifestyle habits of a loved one. Researchers have recently discovered that patients who frequently seek care in an Emergency Department (ED) may be more likely to have a substance abuse addiction . “Super-frequent users”, or patients who have sought treatment in the ED at least 10 times per year, may also be battling an addition to drugs. In one of the first studies that has measured the rate of addiction in “super-frequent user” patients, researchers from Henry Ford Hospital has sought to address the underlying reasons why individuals may seek recurrent treatment in the ED. 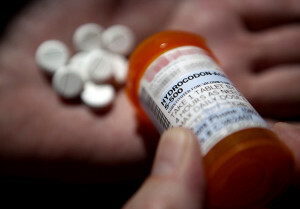 After analyzing and collecting data from this study, researchers found that 77% of “super-frequent user” patients had a substance abuse addiction, with 47% of patients having an addiction to pain-relief narcotics, such as Vicodin . Data also revealed that patients seeking narcotics via treatment in the ED were more frequent among women. The findings from this study give substantial evidence to the hypothesis that super-frequent users looking for care within the ED may actually have intent to obtain pain-relief from narcotic medications. This also brings a more substantial problem to light: Drug abuse and abusers are not foreign to the Emergency Department. According to the Drug Abuse Warning Network, Emergency Departments saw over 5.1 million drug-related visits in 2011, with nearly two thirds of these visits associated with a single drug type (illicit drugs, alcohol, or pharmaceuticals . Whether patients are seeking care in the ED for drug-related problems or as an attempt to obtain drugs for an addictive behavior, this is something that cannot be ignored. “Emergency Departments cannot address the super-frequent users problem without addressing the underlying reason they’re here – their substance abuse problem. If you or a loved one is suffering with a drug addiction and has frequented the ED for purposes related to the addiction, it is important to know that there is help available. Seeking the treatment for addiction can help you overcome the struggles you are facing so that the Emergency Department no longer needs to be a normal occurrence in your life. If you are unsure where to begin to find help, access our treatment center directory and begin your recovery journey today! : Henry Ford Health System. “Most emergency department ‘super-frequent users’ have substance abuse addiction.” ScienceDaily. ScienceDaily, 18 May 2014. <www.sciencedaily.com/releases/2014/05/140518092635.htm>. Accessed 21 May 2014.
: Drug Abuse Warning Network, 2011: National Estimates of Drug-Related Emergency Department Visits. ww.samhsa.gov/data Accessed 22 May 2014.